Given the torrent of abusive comment which the fairly lightweight story attracted, I must be one of the few people in the country who feels some sympathy for Jamie Tabor. 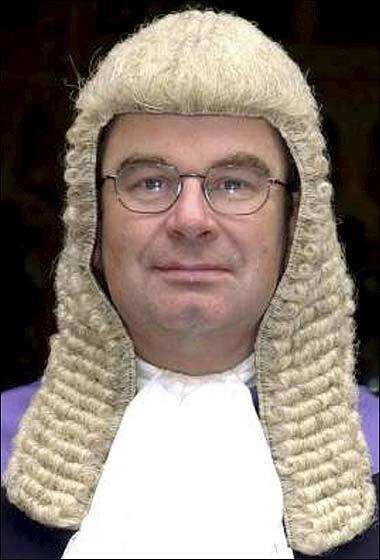 He’s the judge sitting in Gloucester Crown Court the other day who thought he heard a defendant giving his occupation as “burglar” when he had actually replied “ground worker” (whatever that is). It’s not clear from the Daily Mail report whether Tabor is a touch deaf or if he had difficulty deciphering the accused’s thick Mancunian accent. If it were the former then I would have sympathy for his plight even if he had a bathroom mat on his head at the time. I have specific hearing problems primarily related to pitch. I have had my ears checked on several occasions and have been told what I knew already that women’s voices are harder for me to hear than men’s. One day I might need a hearing aid. But I don’t think that’s going to be any time soon. My hearing, for example, for driving purposes is quite adequate to pick up emergency services’ sirens and other motorists’ car horns at a distance. It’s only when I try to hold a conversation in, say, a restaurant or pub, that I am conscious of my hearing loss. One of the benefits – and there’s not many – of getting older is that I’m no longer embarrassed asking people to repeat themselves. It wasn’t the case years ago when I was at a public relations bash and having gone to the bar for a drink found myself soon chatted up by an attractive PR woman, who until that point I had only admired from afar. Unfortunately such were the decibels created in the boozy hubbub of those around us, I couldn’t hear a word. This was not a handicap. Experience had thought me that in the presence of loquacious men and women all that is required was an appropriate nod here and there and they can rabbit on for hours. I admit I was flattered by the attention and that I was thought sufficiently sympathetic to be the audience of what I deduced were personal rather than business confidences. The subject matter, however, some 15 minutes or so into the one-sided exchange I was never able ascertain. Our heads moved closer together to a degree any nearer would have been inappropriate at which point there was a lull in the surrounding cacophony. Only then I heard her clearly say, “And he’s being buried tomorrow.” At which point I thought she might weep into her G & T.
Immediately I made my excuses and left. Cowardly, yes, but I could offer her no comfort because I couldn’t hear her. In my defence I had offered her a friendly, if deaf, ear. Deaf as a judge. Deaf as a post. You need a hearing aid. The modern ones don't show. . . much.